Yelagiri is a hill station located in South India closer to Bengaluru and Chennai. So Yelagiri becomes the favorite weekend getaway for the weary city dwellers in Chennai or Bengaluru. 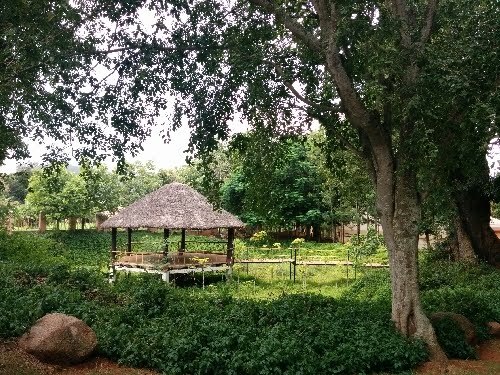 Yelagiri is situated at an altitude of about 1000 metres and hence a moderate weather greets the visitors all round the year.​​​​ Most places in South India can get very hot and Yelagiri offers the best relief by being not too cold. It is not wise to expose oneself to huge variations in temperatures and so I would vote for Yelagiri ahead of the colder hill stations like Ooty or Kodaikanal. There are many interesting things one can do in Yelagiri. This is a place that encourages you to do a lot of physical work. One can walk, jog, play games or trek. The best place to walk is the Kottur road parallel to the main road. Ask anyone for direction to Hotel Kumararaja Palace and the road that leads you to this Hotel is the Kottur road. It is a treat for walkers as it is lined with trees on both sides. ​Then we have the Mangalam village that offers a nice trekking route. This is not a very strenuous trekking route and so can hardly be called an adventurous one. Nevertheless, it is such an useful physical activity for diverse age groups with lush green pastures and tree canopies greeting you all along. Another interesting hobby one can pursue in Yelagiri is astronomy. One get to see clear skies devoid of any light pollution or dust pollution. But one needs a bit of luck to have an enjoyable night sky watching experience. The clouds can play spoilsport at times and this cannot be predicted always. One need to plan the time of visit as it is better to visit around new Moon day. With Moon off the night sky, one gets a much richer experience of night sky watching. There are many options for stay at Yelagiri. Out of the ones I have tried, I would rate Hotel Landmark as one of the best. It is one among the most expensive options available there but it is worth every penny. The rooms look new & fresh and the food is decent too. 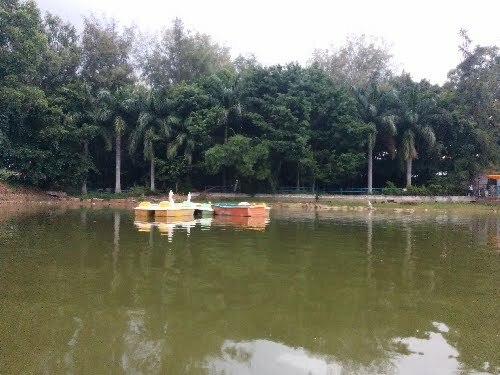 It is located closer to the lake and offers a bit of privacy compared to the ones on the main road. ​I like the location of Hotel Kumararaja Palace and Hotel Hill Breeze that is ideal for walkers. The new Sterling is good too but it is located on the main road. For some reason, I do not like the ones on the main roads but nevertheless, this property is good.